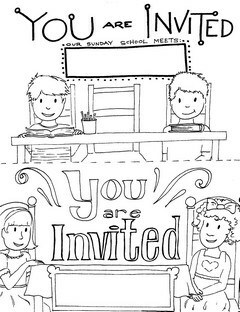 This printable Sunday School invitation is designed to help kids reach out to their friends. The template has two different images per standard printer page. I would recommend a card stock type paper. You can use crayons, colored pencils, or markers for decorations. Directions: Select the preview to the right to download this image as a printable PDF file. We’ve also uploaded a jpeg version for anyone who wants to add their own information before printing. You have our permission and blessing to make copies of this free coloring sheet for your church, home, or school. If you enjoy this resource, leave a comment below for Mandy. You can tell us how you plan to use this resource in your ministry. It’s an encouragement to all our writers when we know the good coming from our website. You might also enjoy our article listing 16 ways to get more kids in your Sunday School. 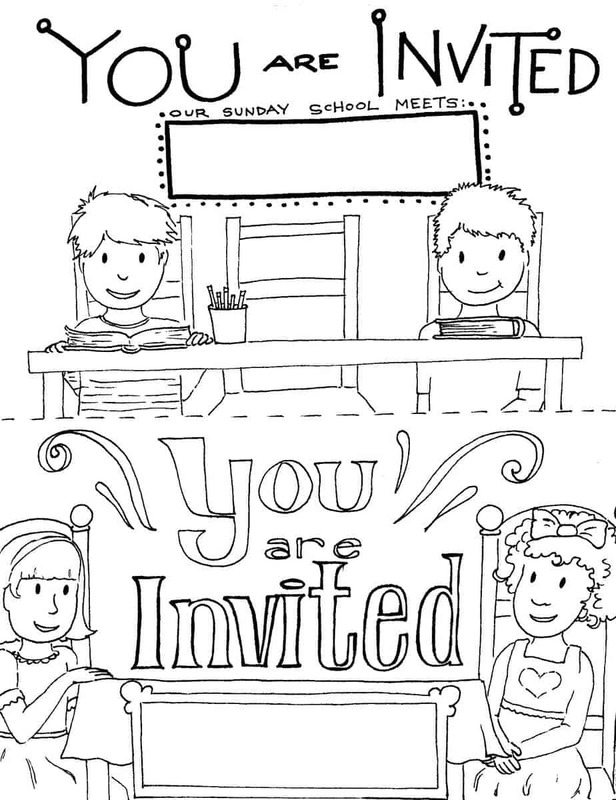 We created a church bulletin insert to emphasize the importance of Sunday School. Tony Kummer (Editor) reviewed & updated this page on : April 12, 2011 at 2:58 pm. All our content is peer reviewed by our readers, simply leave a comment on any post suggest an update.